I cannot cook but I would like to cook. I do not have the time but I would like to cook. 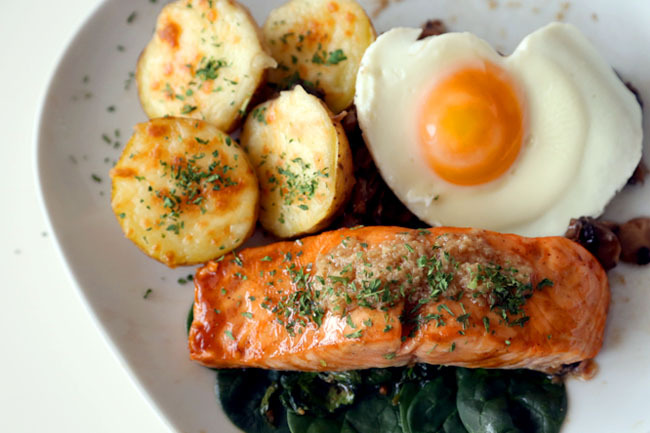 Not sure if any one reading this could be in the same situation as me, especially after a long day at work when all you wanted is a quick and effortless meal yet still taste delicious and healthy back home. When my new ‘toy’ arrived from Samsung, I got very excited – the new Samsung Smart Oven (MC32F606). I wondered what it meant by ‘smart’? And discovered that the oven’s sensor technology and high-quality cooking performance allow us to grill, microwave, slim fry (yeah to that), and even have pre-programmed ‘fermentation’ features to make dough and yogurt. It’s like a multi functions-in-1 machine. 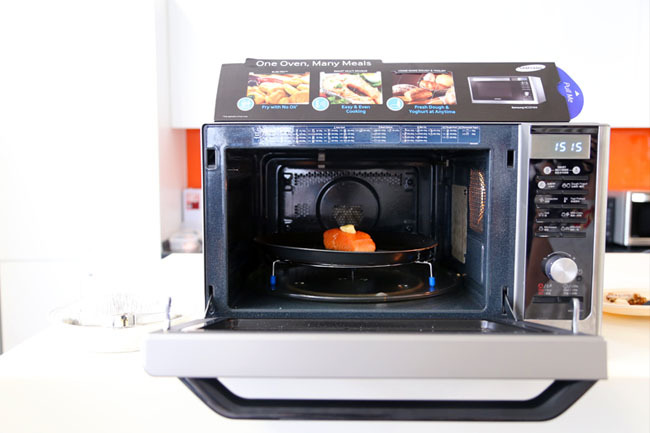 Slim Fry Technology – For the lazy people like me who want to indulge in some crispy chicken wings and fries, this oven can prepare them without the use of additional oil. 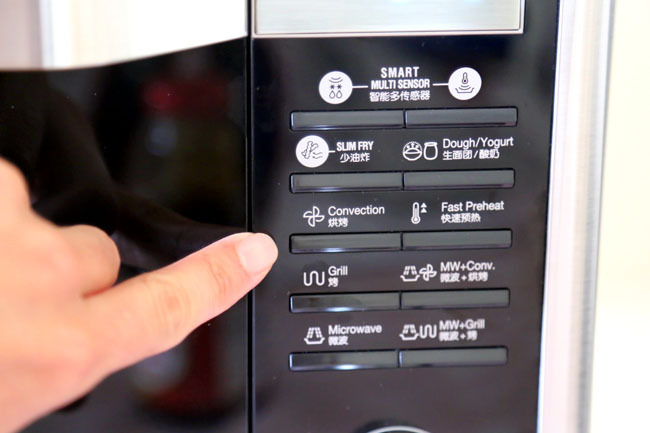 Smart Multi Sensor Technology – The smart oven can judge if the cooking stages are completed based on surface temperature. No more over or undercooked food! 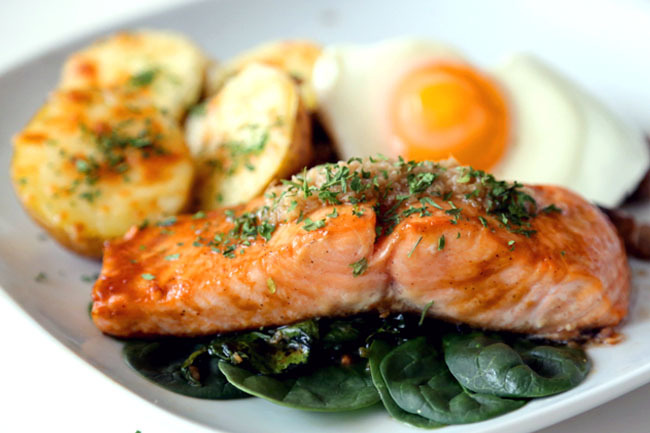 – Spread some butter (or olive oil) over the salmon. 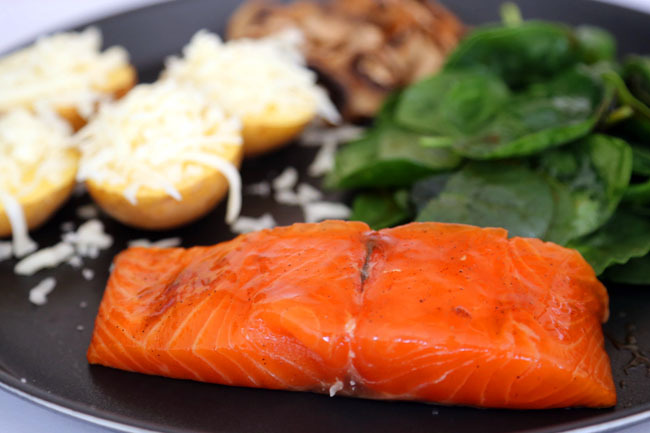 Grill the salmon in the oven for about 8 minutes. Top with minced garlic and oregano. 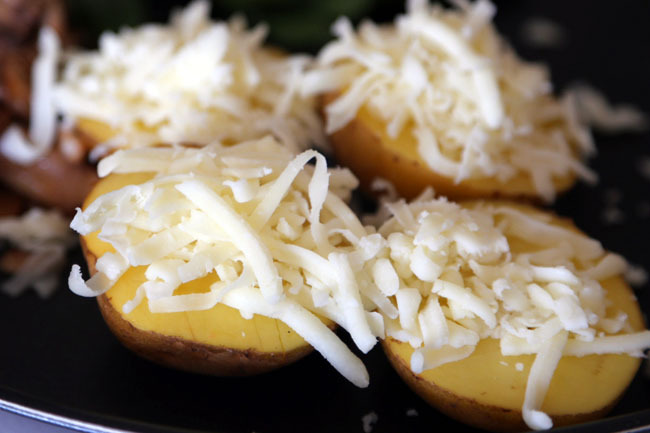 – Place the potatoes in the oven and grill for about 30 minutes. The cheese will melt turn golden brown which will be a good indication. 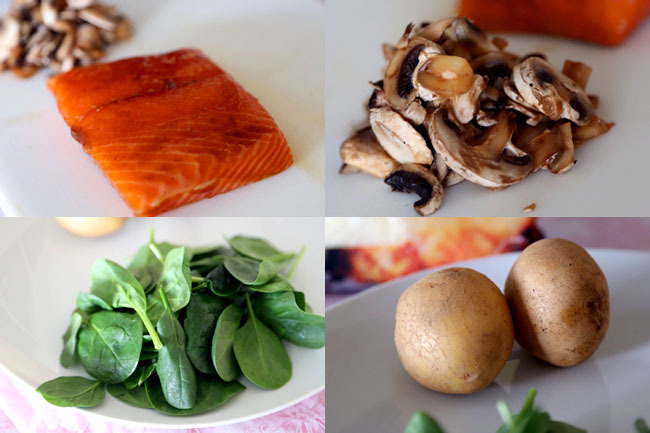 – For the mushrooms and spinach, grill for about 6 minutes. You can add some minced garlic halfway and stir it around. This may sound ironic but I am the kind of person who finds it extremely hard to follow recipes precisely. I am likely to make a few changes. The Samsung Smart Oven came with a recipe booklet, but you know what… I actually left it aside and decided to experiment and ‘play’ with the functions of the oven. – Place ALL ingredients onto the tray into the oven. Grill for 8 minutes and serve. Yes, that’s all. 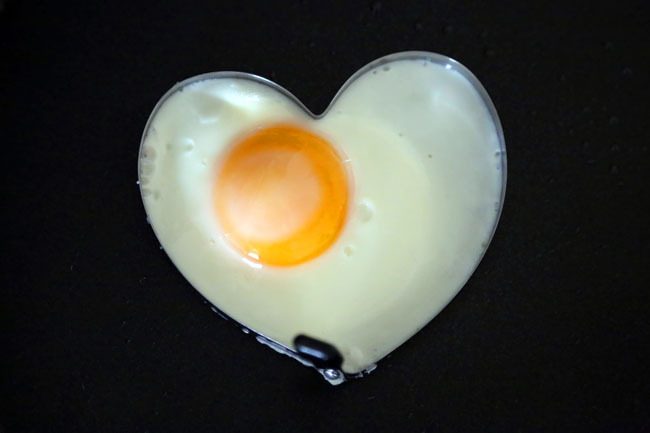 – For variety, I ‘Slimmed Fried’ an egg using a heart shaped mould. To summarise, I could really just put some of my favourite ingredients together (or whatever I can add from my fridge), put them in the oven and in a matter of minutes, I got an entire meal out. Plus, cleaning is minimal as I only need to clean that one tray and plate. Cooking has never been so smart and effortless. Thank you Samsung Smart Oven MC32F606! Note: I will next try to do up a burger using the Samsung Smart Oven where every item is slim fried. Look out for it! *This entry is brought to you by Samsung Singapore. ← There Is No Such Thing As A Free Meal. This Is The Cost of Food Blogging. Thanks for sharing this…i’ve now made my mind up to buy one. 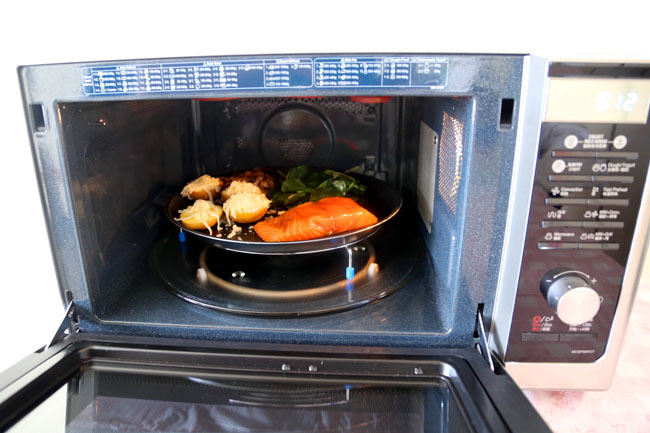 also, do the accessories (high & low rack, crispy tray) come with this microwave oven, if not where can I get them from?